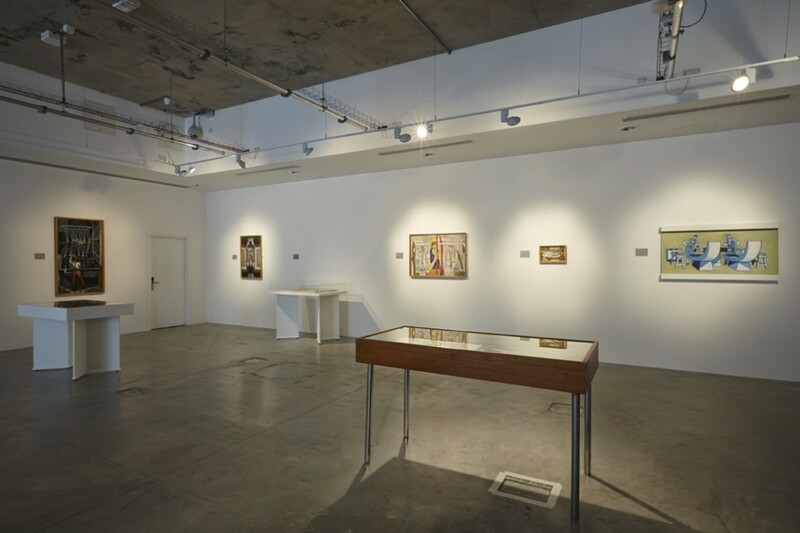 Stolen planks from under the bourgeois phalanx is an exhibition that takes its title from a letter by the artist Clifford Rowe, published in the 1956 art journal Materialism. The letter marks a claim for a stark demarcation of cultural production under Socialist and Capitalist ideologies. 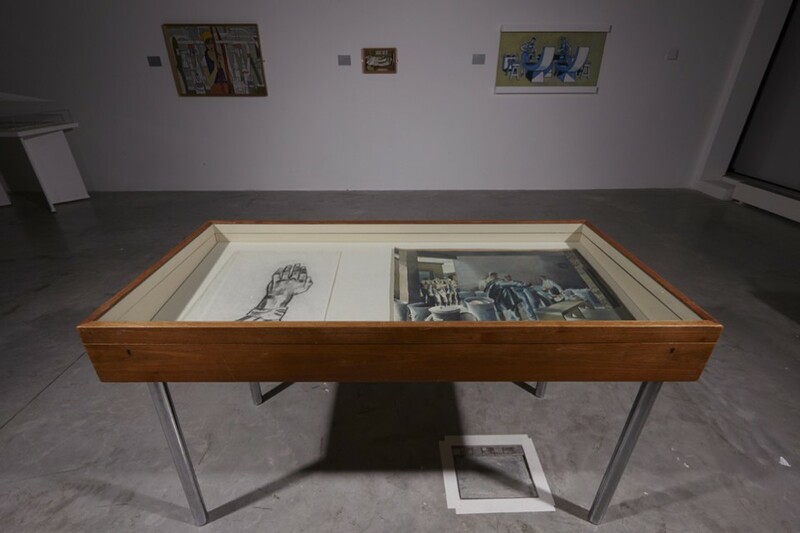 Stolen planks from under the bourgeois phalanx includes a selection of Rowe’s paintings, drawings and sketches produced between the early 1930s and late 1970s. 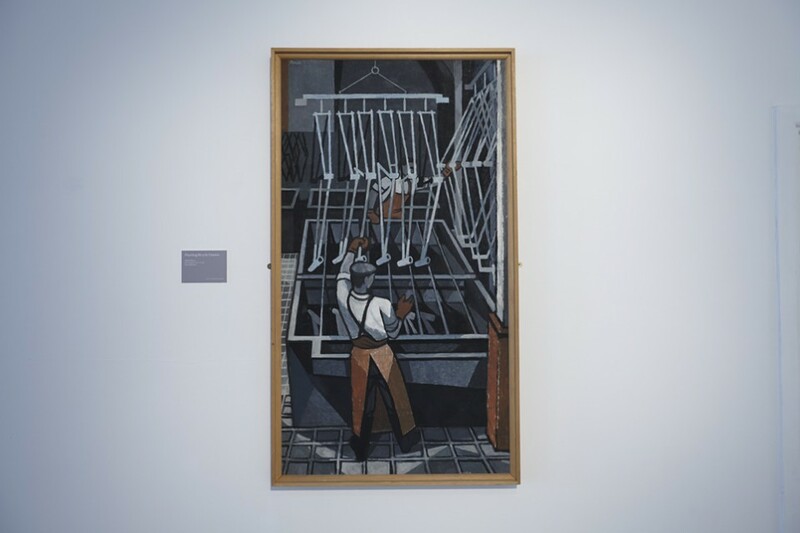 The work represents a close and unsentimental study of labour, revealing the social and economic conditions and struggles of Britain during a period of recurrent political crises. 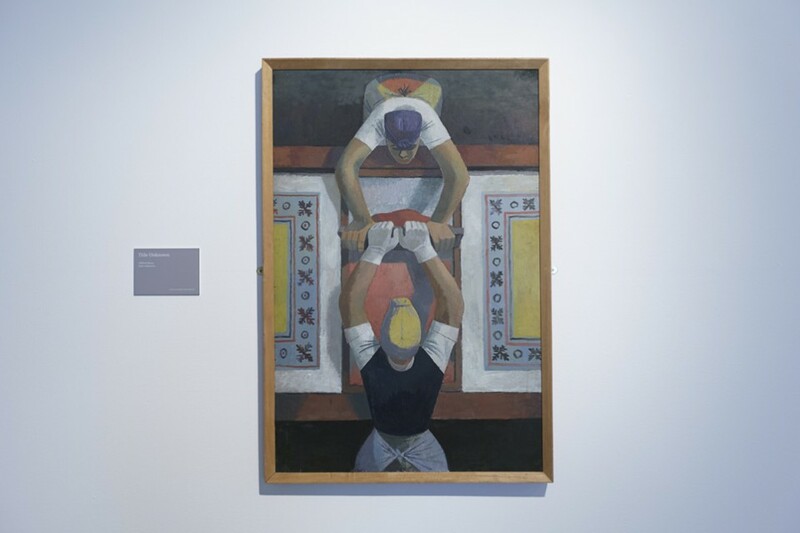 Rowe’s early style is informed by Socialist Realism, co-opting the weight of historical painting and political comment. 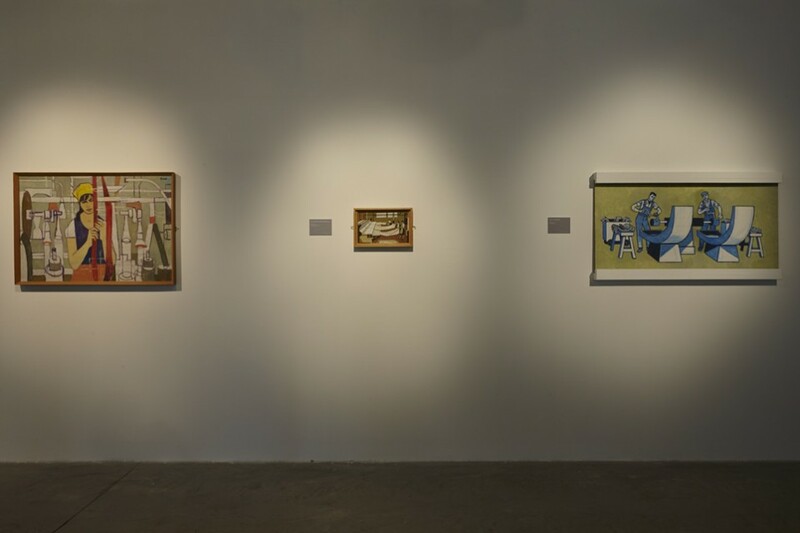 He remained faithful to the aesthetics of its heavy-lined visual language, but broke from the term and Soviet Russia’s political application of the style as his politics and activism evolved from the late 1930s. Rowe invested heavily in the revolutionary potential of New Realism and the use of painting as a political device. He remained committed to the idea that the proletariat, a rank he himself belonged to, would recognise the clear depictions of social and working realities and join the resistance against Fascism, and then Capitalism with its accelerating threat to the efficacy of the working class. I found the logic so compelling. It solved so many intellectual problems about advertising and my work as a commercial artist that I felt the scales fall from my eyes. He set off to Russia in 1930 to put the living reality of Communism to the ‘acid test’. Rowe stayed for 18 months, finding work early on at the Foreign Workers’ Publishing House and although he found Russia to be ‘in a hell of a state’, he was encouraged that the class struggle was the key political force for a new social order. 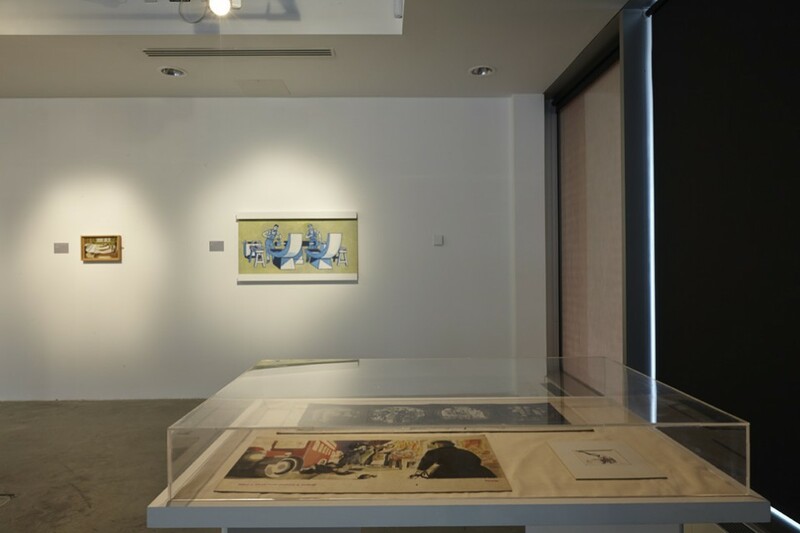 Rowe observed the Soviet state machinery, in all its manifestations, utilising visual culture as a propaganda instrument for its centralised political task. Rowe’s support for the totalitarian regime was never total in belief, and he later renounced Stalin’s regime. The state arts-patronage model he observed, which followed Marxist-Leninst doctrine wherein all state institutions supported, directed and managed cultural production, impressed on Rowe a new working reality for the artist. 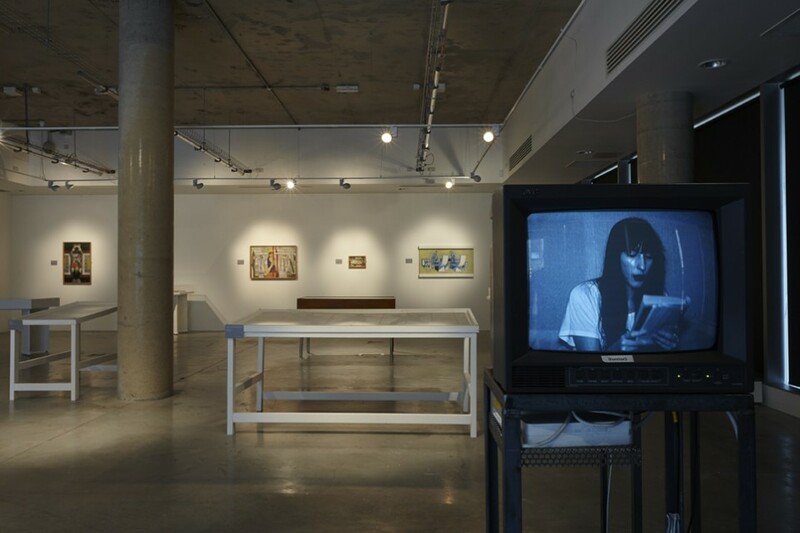 Rowe returned to Britain with confidence about the social agency of artists working collectively for a common conviction and a strengthened intent to reformulate the function and purpose of the artist. 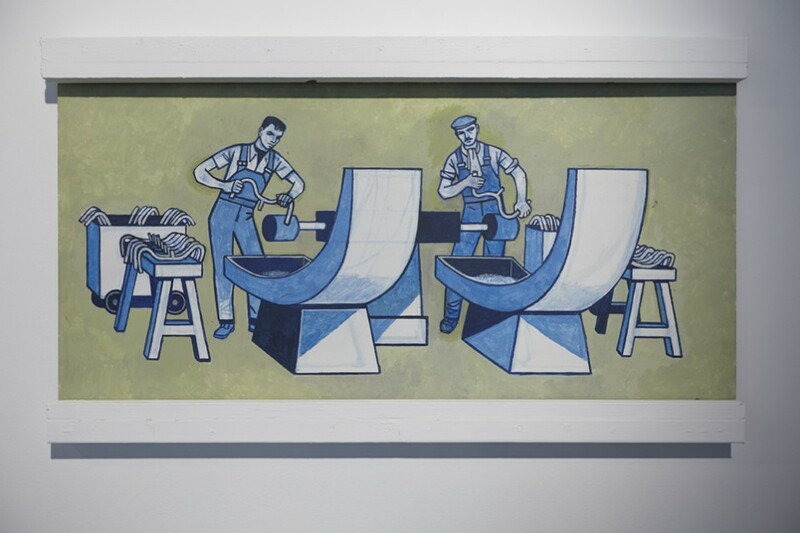 Rowe founded Artists’ International Association (AIA) in London in 1933 with Pearl Binder, Misha Black, James Fitton, James Boswell, James Holland and Edward Ardizzone. 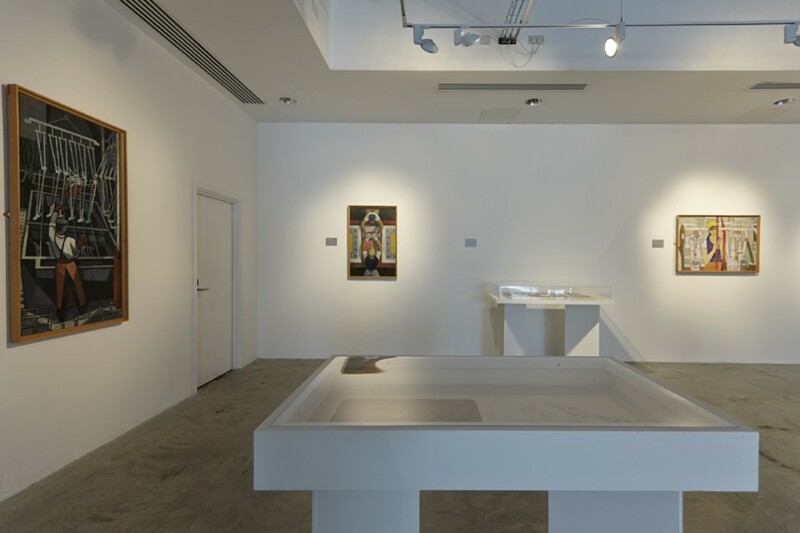 AIA was a loose association of artists working collectively for shared political cause and the membership deliberately subordinated any commonality of artistic style to further their collective impact. 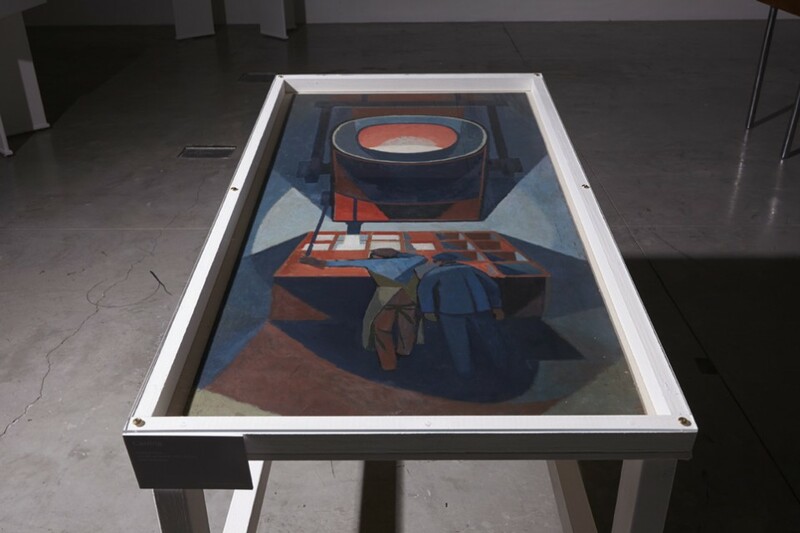 The AIA’s ambition was combative; to insert art into the political apparatus and resist militarisation, fascism and bourgeois cultural production. 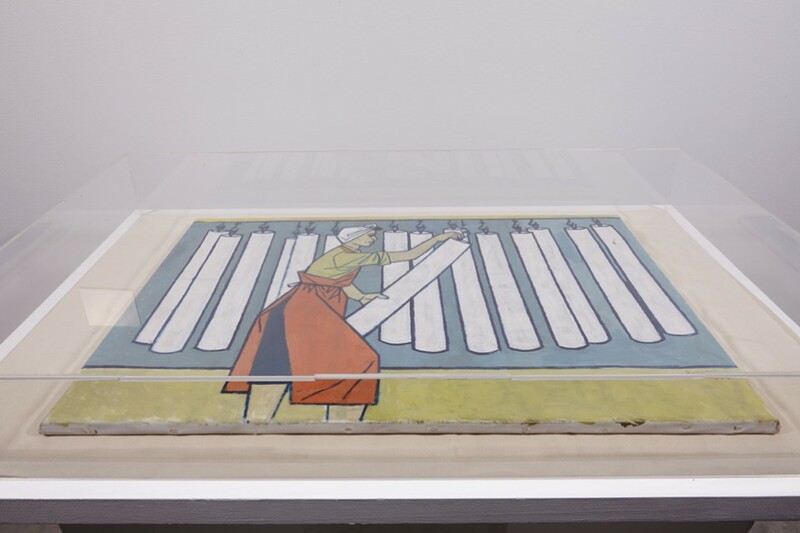 The fluctuating assembly of artists politicised cultural production and applied it to far-left political campaigns by designing propaganda posters, pamphlets and banners. They contrived their available channels of production, distribution and resources to unite art and activism for a new political order. 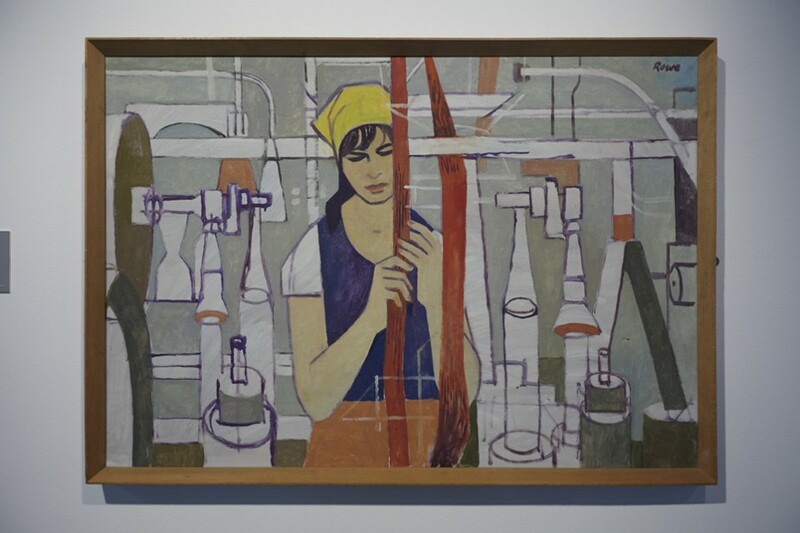 The AIA was concerned with addressing the working conditions of the artist, with Rowe leading the view that a Socialist society affords the artist with an affirmative existence, while the artist in the West was expected to work under economically precarious and bleak conditions. 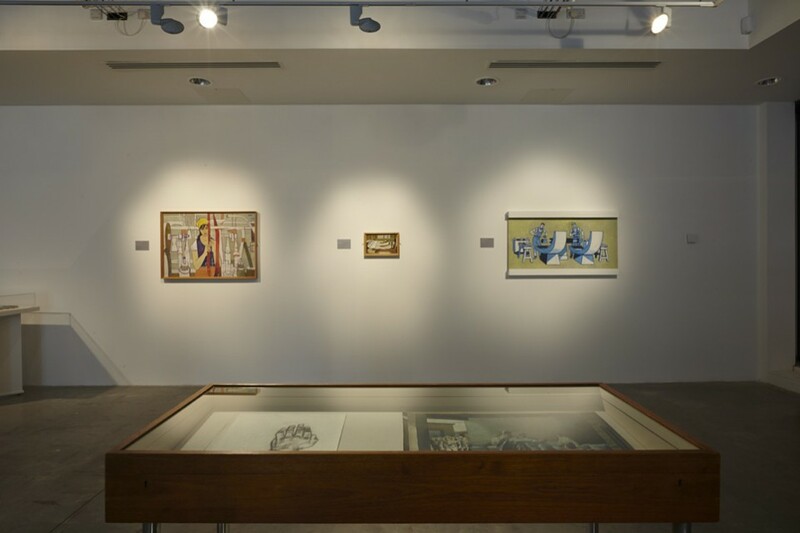 The AIA remained a dynamic political body until 1953, organising significant international exhibitions that responded to the changing political landscape through WW11, the Spanish Civil War and the Cold War. The AIA dropped their political clause in 1953 and reconstituted as an exhibiting society until its end in 1971. 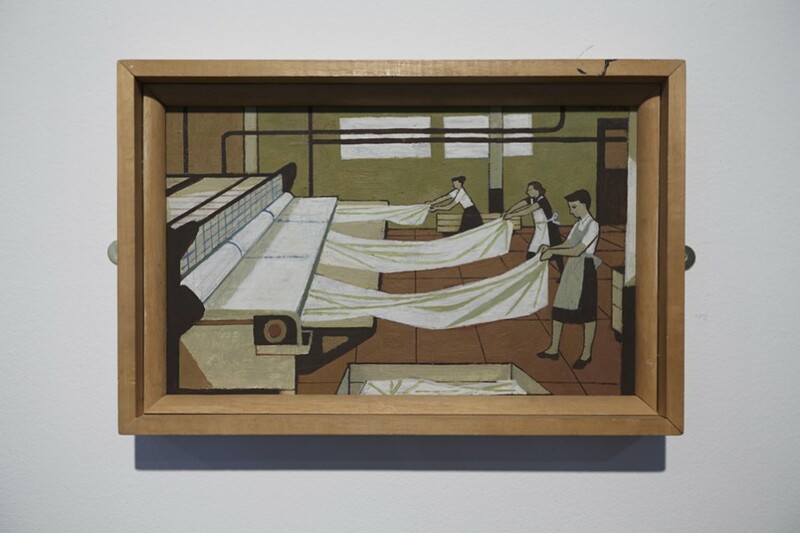 In a period of art history conditioned by potent political circumstance, Rowe’s position represents vigor, political action and collective organisation in his portrayal of the pathos and celebration of the working class. His work will be accompanied by a video installation of a full reading of Bertrand Russell’s 1938 Power: A New Social Analysis. Power is a nuanced departure from Russell’s typical analytic philosophical territory and is an argument for power – economic, military, civil and cultural – to be the structure through which the social sciences are examined and the way in which the world must be understood in order to affect change to dominant global political systems. Russell wrote Power on the verge of WW11 and it reflects a traumatic and shifting political landscape. He argues for a reorganisation of the dominant order that isn’t led by single causes. He reflects on the work in his autobiography: ‘…I argued that power, rather than wealth, should be the basic concept in social theory, and that social justice should consist in equalisation of power to the greatest practicable degree…’. Stolen planks from under the bourgeois phalanx does not suggest an artificial alliance between Russell and Rowe, rather it offers a carved piece of history that represents a period when ideas contracted to social responsibility were transmitted through a wide political consciousness. 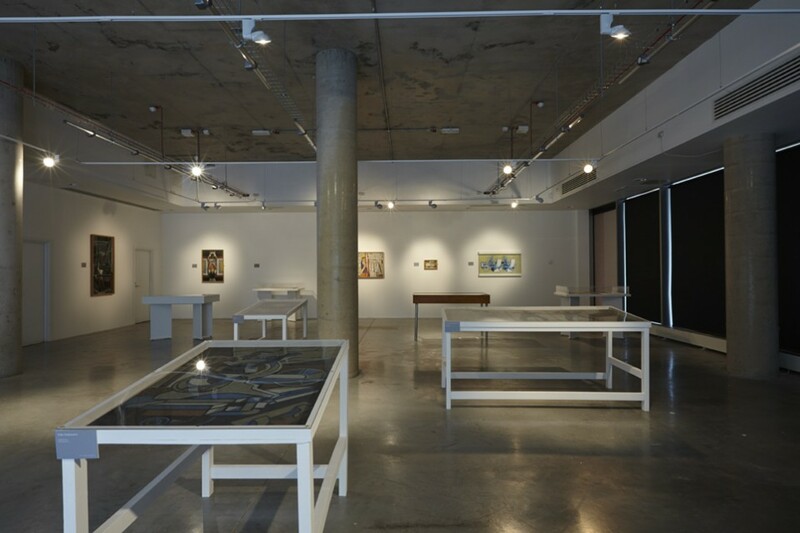 In the spirit of the Everyman Prints, an AIA initiative to mass-produce and cheaply distribute art as prints to encourage a wider public ownership and patronage system, LGP will bulk print selected artist’s work and distribute free from stacks in the gallery during the exhibition period. 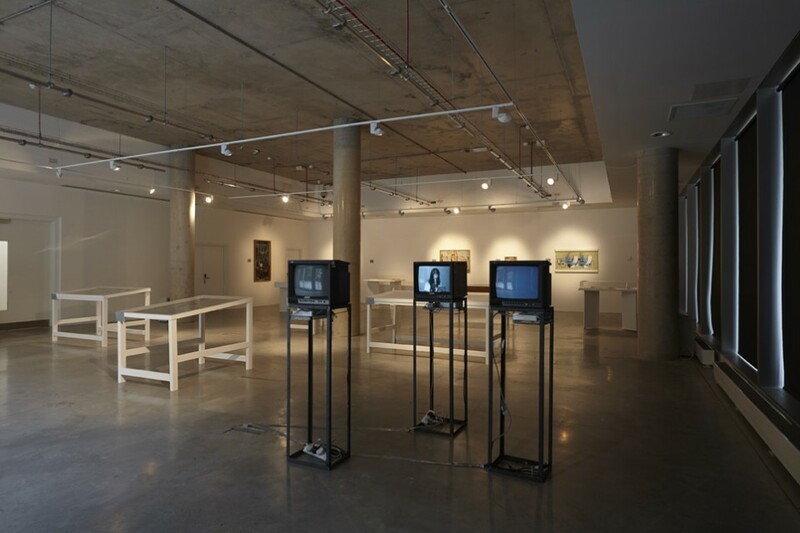 LGP will invite a selection of organisations, civic associations, activists and artists to use a working printing press installed in the gallery. 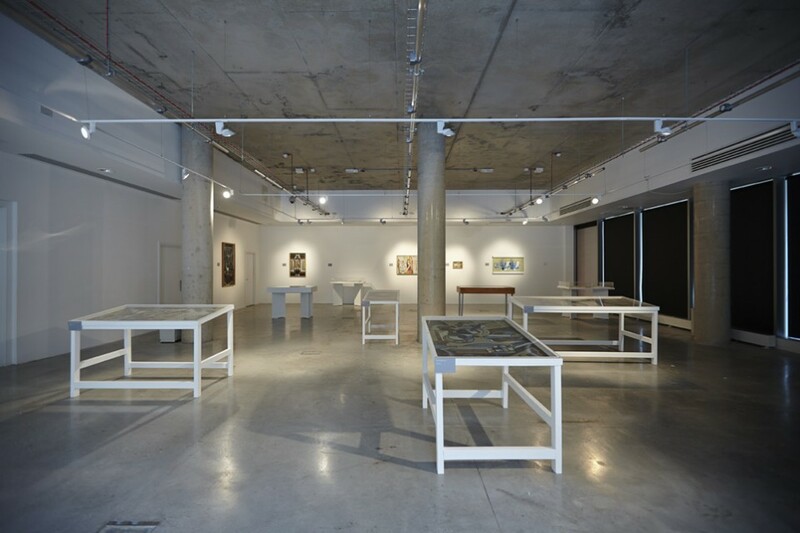 Each Saturday, a different work will be selected for print and be made available to pick up from the gallery. 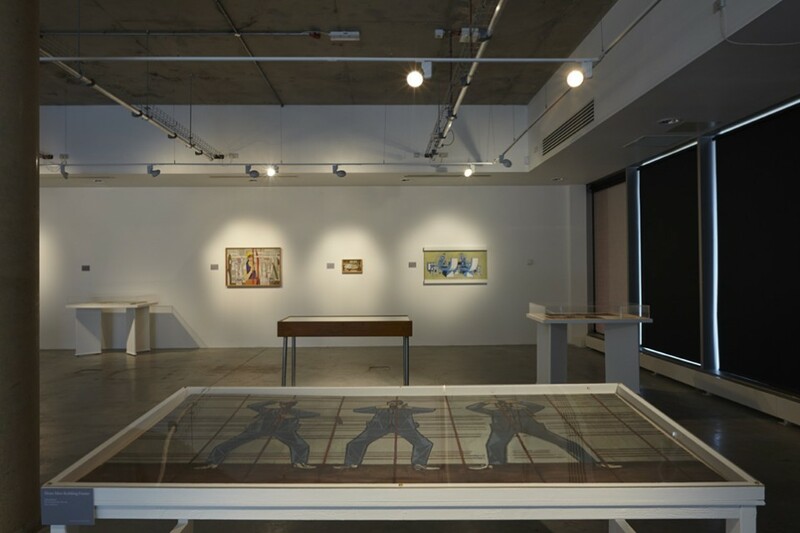 The exhibition will be accompanied by a programme of lectures, workshops and events, which will examine the legacy of Rowe and his work and the context in which it was produced. 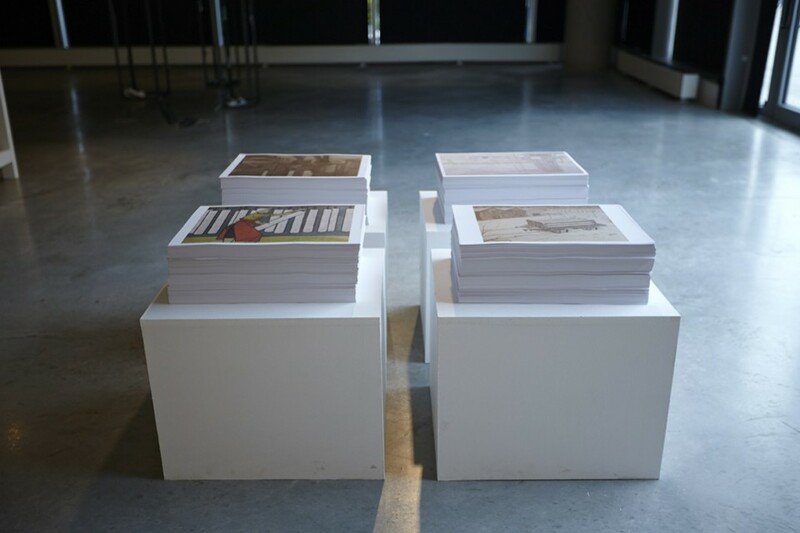 Stolen planks from under the bourgeois phalanx is dedicated to David Bainbridge 1941–2013. With thanks to Linda Bainbridge, Bec Cousins, Lynda Morris, The People’s History Museum, Bertrand Russell Peace Foundation, Rope Press, The Mead Gallery and The Herbert Museum and Art Gallery.